We started the day by taking the monorail into Tomorrowland from Downtown Disney. It had only one train running so it took a bit of time to get physically into the park. Exiting the station we noticed that it was such a clear day outside and the iconic Matterhorn mountain looked beautiful. I’ve gazed upon the mountain many times but this time I noticed a hidden mickey figure. Can you spot it? 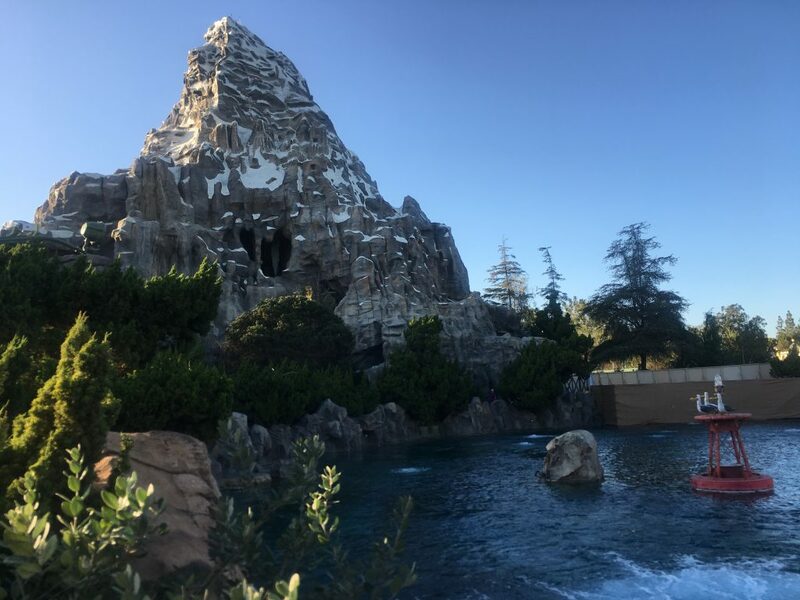 The Matterhorn Bobsleds are still closed to the public due to its lengthy refurbishment. All other attractions and shows were open at the Disneyland Resort with minimal wait times for the attractions. As you can see the park was not as crowded on this visit. 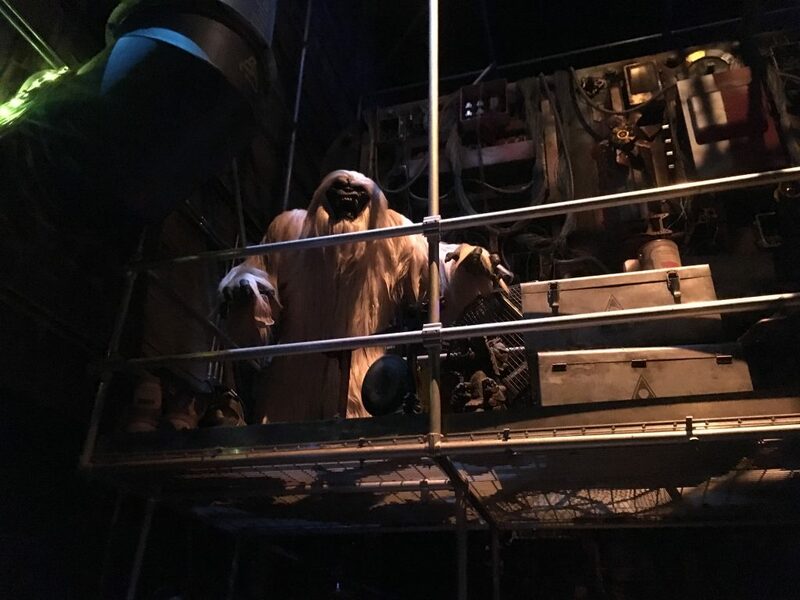 Over at Guardians of The Galaxy: Mission Breakout, a former resident of the Matterhorn mountain looms over guest as they try and help the Guardians of Galaxy Escape. The Yeti, or Harold 1.0 as he’s called, was the original inhabitant of Disneyland’s beloved attraction (Matterhorn Bobsleds) from 1978-2015. It was replaced with Harold 2.0 during the 60th Anniversary that now features animatronics and special effects. He may not be as scary as the Yeti, but Pluto is one character that will always make you smile. 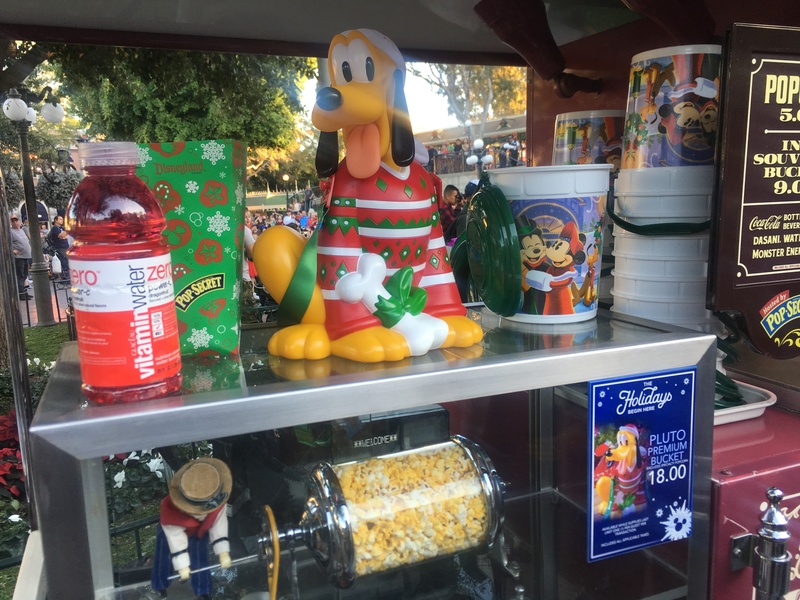 There are now Pluto and the Aliens from Toy Story popcorn souvenir popcorn buckets for sale. You can purchase them for $18. Hurry these sell out fast! 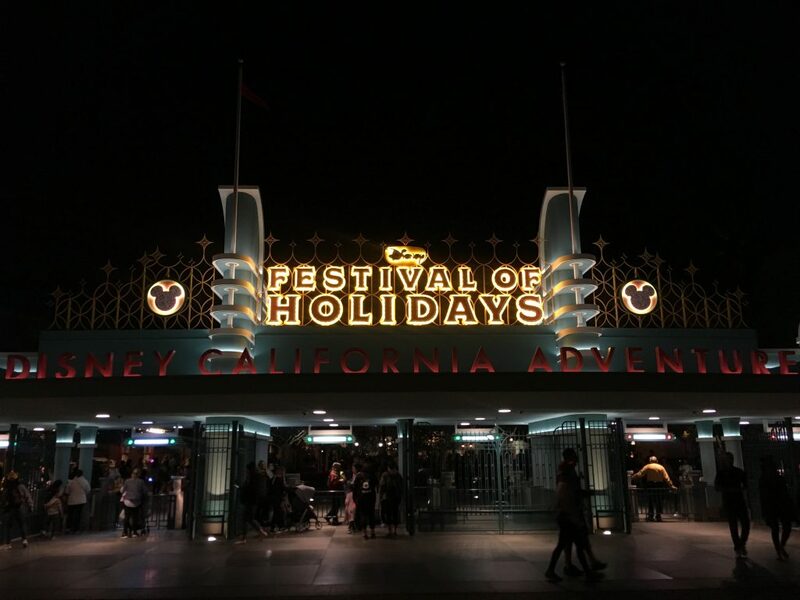 Another fun way to spend the holiday over at Disney California Adventure is the Festival of Holidays Celebrations. The Festival of Holidays has many festive concerts, seasonal character appearances, and of course holiday treat that represent many different cultural traditions around the world during this time of year. 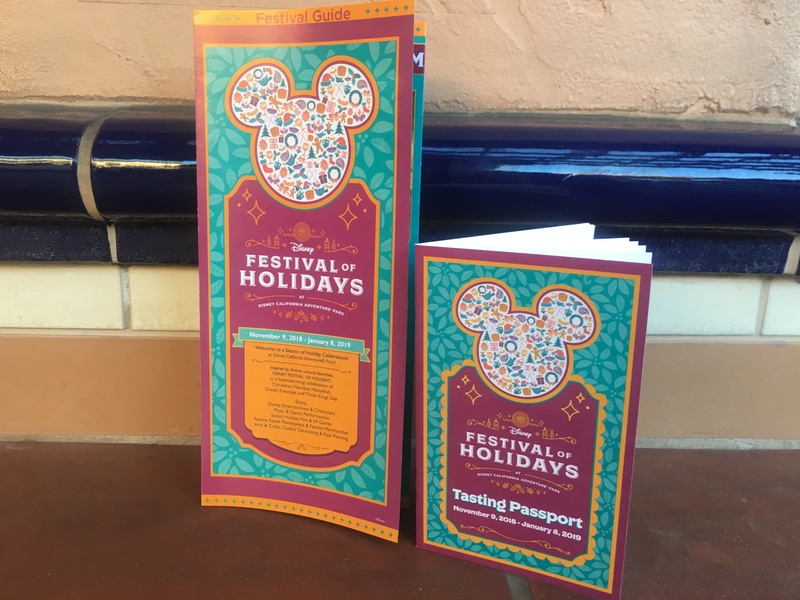 If your like me you will want to pick up a tasting passport and food guide the explore and indulge at your hearts desire. I know we did! They also sell food vouchers to guest that can be used at any of the booths. If you find your self trying more than eight items it is worth it. Annual Passport holders also get a discount on the vouchers at $49 per person. Amidst all of the wonderful food selections in the park, It was great treat to finally meet the new luxo lamp. Yes, meet. The lamp greets guest as they enter into to the new area. 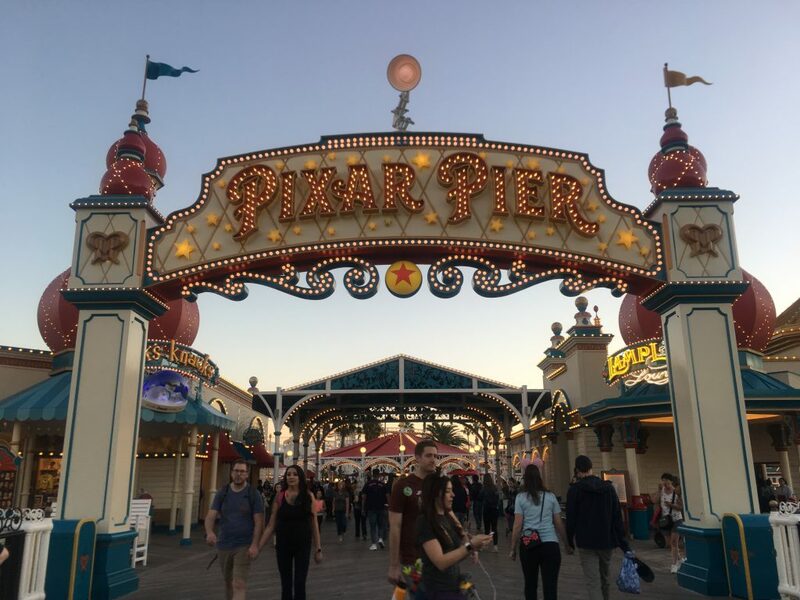 This was really exciting to see because it is one of the many pieces that will complete Pixar Pier, as you all know there are still two other family friendly attractions that will debut in 2019. 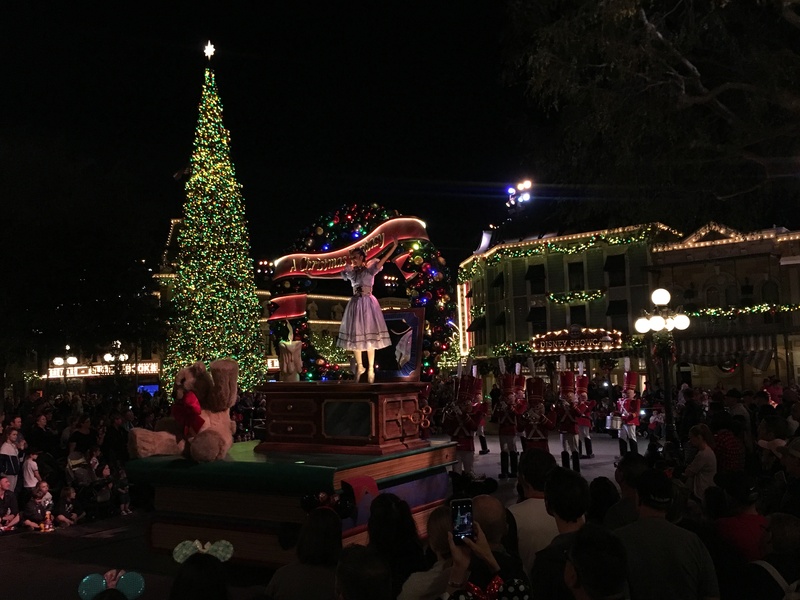 It would not be complete with out experiencing “A Christmas Fantasy Parade” This is one of many holiday shows, including the returning “Believe…In Holiday Magic” Fireworks spectacular, that can be experienced now until January 6. The parade offered an amazing twists on many Christmas tales. 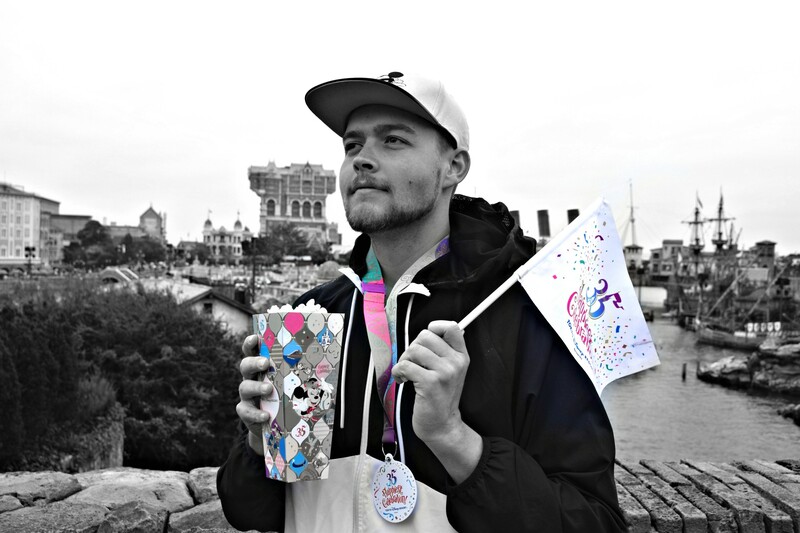 There are two showings of the parade, 3:00 pm and 6:00 pm. 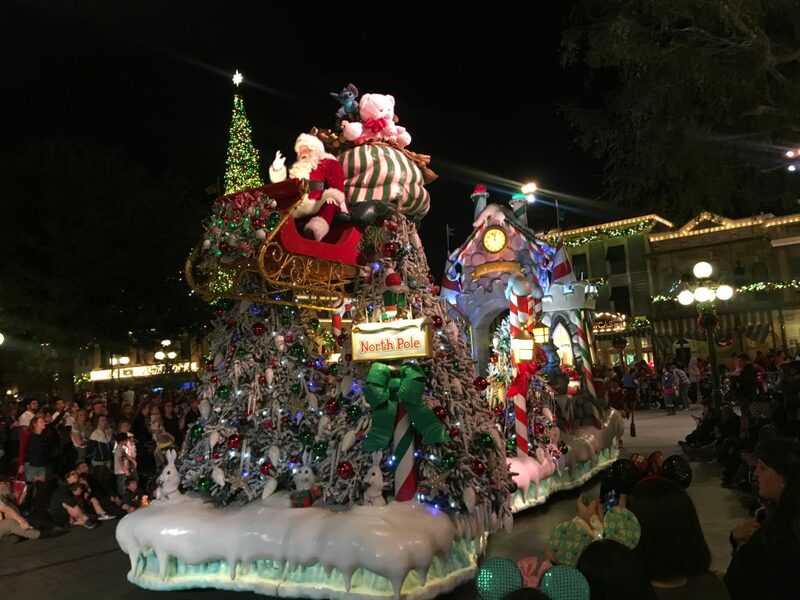 Our suggestion would be to experience the last show because the floats light up so beautifully at night as opposed of viewing it during the day. Another fan favorite returning this year is Its a Small World Holiday. This attraction returns every year with twist on Disneyland’s beloved classic attraction. 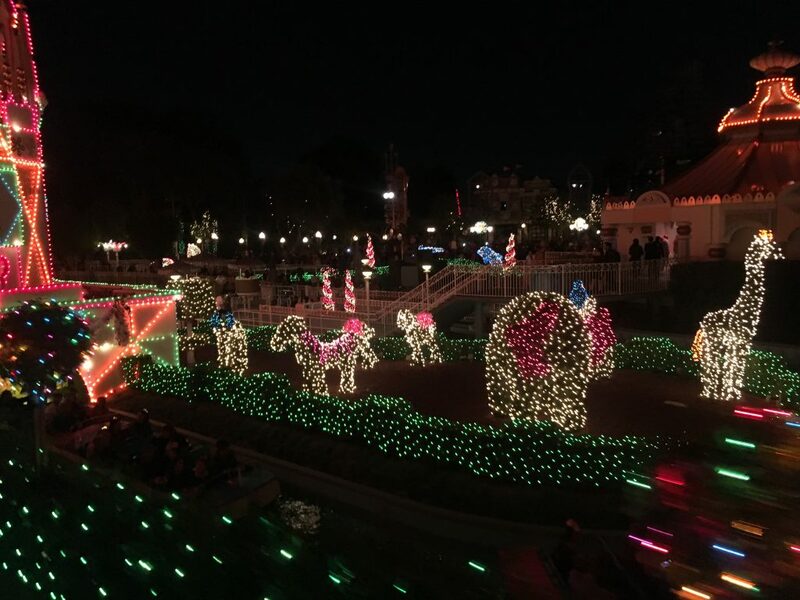 We were able to catch the Disneyland Railroad train and learned that each Christmas light was individually screwed in by a Disneyland Cast Member. Christmas lights make any plain setting so much more festive. 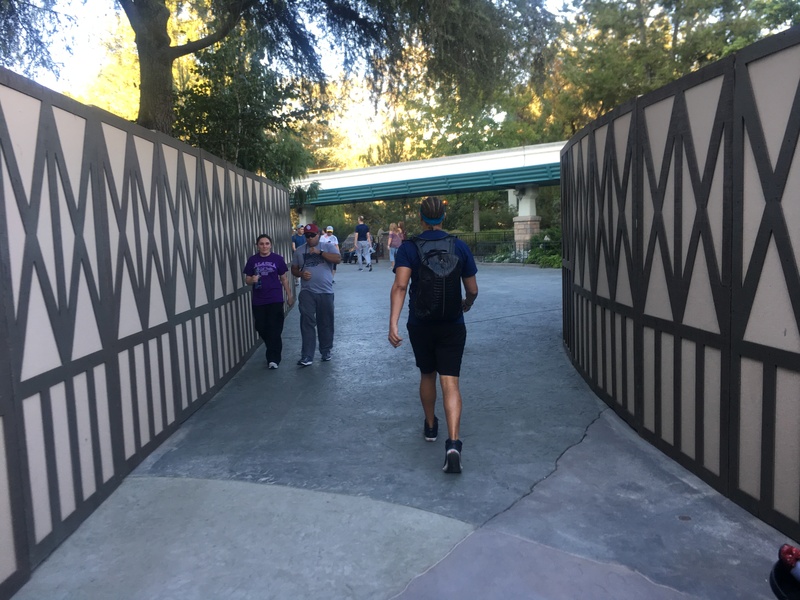 Both entrances to the park did not seem to be fully decorated. The entrance to Disney California Adventure is a sure site that the holiday season is beginning and I can not wait to see the finished decorations if/any. 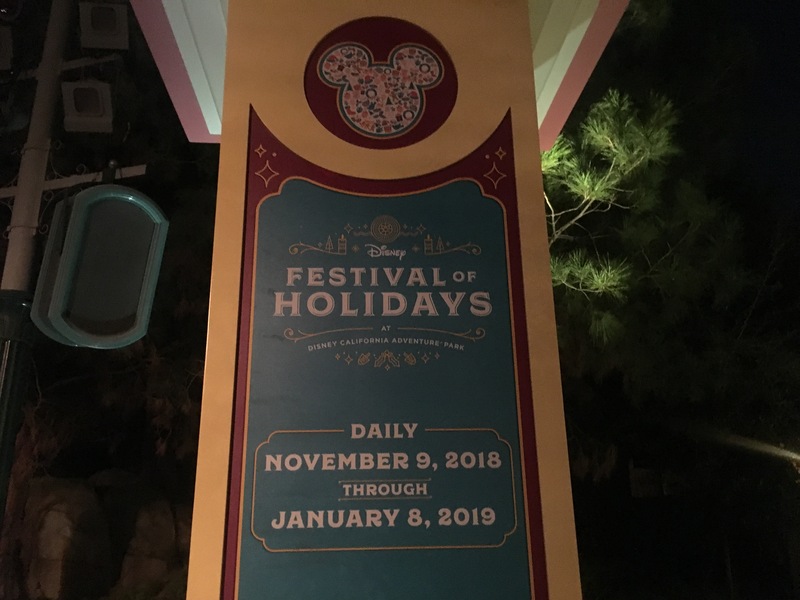 Thank you all for taking the time to read this update, we will be back soon with coverage from other Southern California theme park holiday events! Check out this week’s new Efteling update! Tidal Twister – New for SeaWorld San Diego in 2019!